LA CROSSE, Wis. (CNS) — Since 1997, Eleanor St. John has lived for the day when one of her greatest heroes would be recognized as a saint by the Catholic Church — Blessed Kateri Tekakwitha. Blessed Kateri, the daughter of a Christian Algonquin mother and a Mohawk father in upstate New York, will be canonized Oct. 21 at the Vatican by Pope Benedict XVI, along with several others. She will become the first Native American saint. A parishioner at St. Joseph the Workman Cathedral in La Crosse, St. John is a member of the Winnebago tribe of Nebraska. She and other pilgrims from the diocese were heading to Rome for the canonization. “I know she’s the patroness of the environment and ecology, but I call her the saint of Native Americans,” she told The Catholic Times, La Crosse’s diocesan newspaper, in an interview before her departure. “We love her and are so happy she is put up in this different realm because of her sainthood. 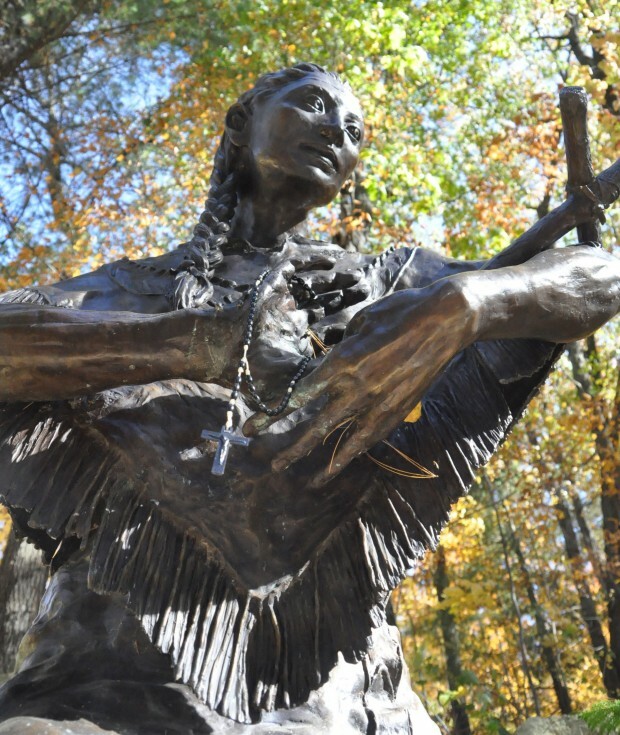 In her own life, St. John said, that Blessed Kateri has inspired a greater love for Jesus and his sacrifice for the world. Barbara Swieciak, assistant to La Crosse Bishop William P. Callahan, was also heading to Rome, for the celebration. Blessed Kateri took a private vow of virginity and devoted herself to prayer and to teaching prayers to the children and helping the sick and elderly. For her own vocation, Swieciak said, Blessed Kateri’s canonization will make more visible to the world the sort of courage necessary in a world that doesn’t particularly prize purity. As a saint, Swieciak said, Blessed Kateri will serve as a more visible role model for consecrated virgins around the country. Because Kateri’s life was full of suffering that she gladly bore for Christ — at age 4 she was disfigured by small pox and her eyesight was impaired — Swieciak also sees in her hero a spiritual kinship. O’Brien is a staff writer at The Catholic Times, newspaper of the La Crosse Diocese.